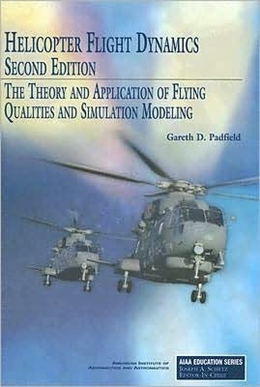 The behavior of helicopters is so complex that understanding the physical mechanisms at work in trim, stability, and response, and thus the prediction of flying qualities, requires a framework of analytical and numerical modeling and simulation. Good flying qualities are vital for ensuring that mission performance is achievable with safety, and in the first edition of Helicopter Flight Dynamics, a comprehensive treatment of design criteria was presented. In this second edition, the author adds a new chapter on degraded flying qualities, drawing examples from flight in poor visibility, failure of control functions, and encounters with severe atmospheric disturbances. Fully embracing the consequences of degraded flying qualities during the design phase will contribute positively to safety.